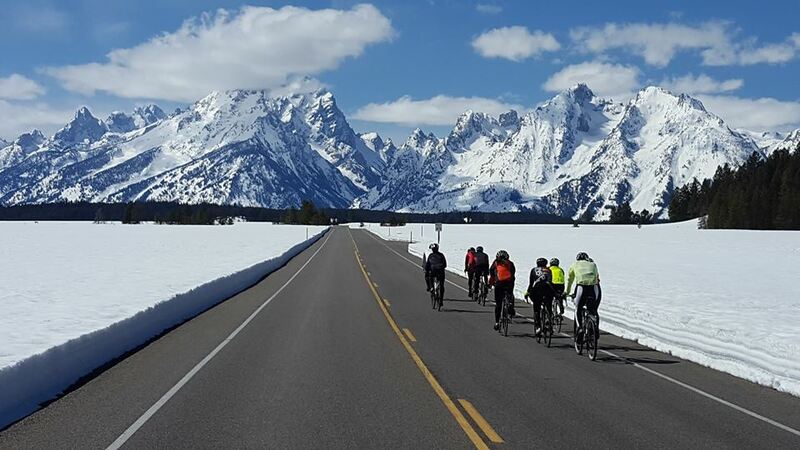 You're invited to a Jackson Hole rite of spring. 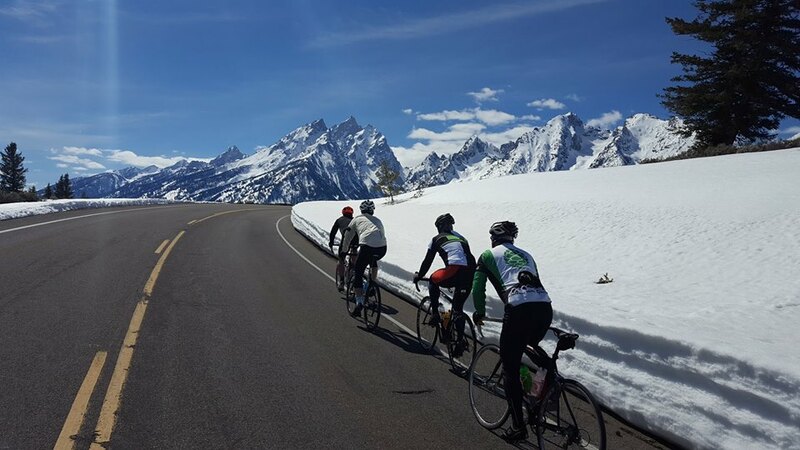 Join us for this annual ride along one of the most scenic stretches of road in America! HELP SUPPORT THE BLUEBIRDS! 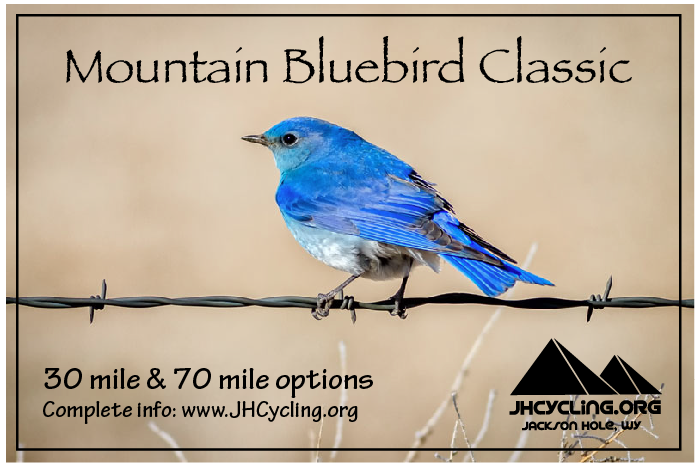 This year we are also taking advantage of this ride to help out the real mountain bluebirds by raising money for the Jackson Hole Wildlife Foundation's bluebird banding program. The JHWF maintains and monitors the bluebird boxes we ride past on the North Pathway. This year they are implementing a banding program to learn more about the lives of these birds. If you want to help our fine-feathered friends, bring your donation to the start or the after-party and we'll collect it from you. WHEN? Saturday, April, 28. 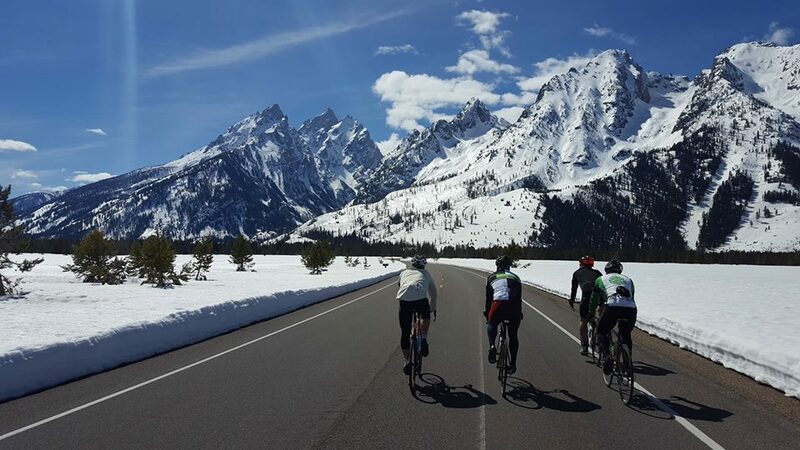 This year the Bluebird Classic will take place before the National Park roads open to vehicles. The pathway north of town will be open for our use. WHERE? Gran Fondo riders will leave the Home Ranch Parking Lot at 10:00am. We'll ride north on the pathway at a social pace to Bradley-Taggart where we will meet up with the Piccolo Fondo riders at +/- 11:15am. We will then ride north at a social pace until the North Jenny junction where things will begin to heat up! Or, if you'd like a casual ride, feel free. The only requisite is having fun! We'll all regroup at the bottom of Signal Mountain and ride back together via the North Jenny one-way loop. WHAT? What should you bring? Bring a friend! The roads are a lot more fun that way. And if you get separated it's great to have an ally. Bring extra food! There's always going to be somebody bonking...and it just might be you! Bring your Park pass! We won't get in without it! Bring a donation for the bluebird banding program!